The Irish U-21 boss has been appointed as the interim senior team manager for Ireland’s final two qualifying games against Germany and Kazakhstan, giving the FAI enough time to find Giovanni Trapattoni’s replacement, maybe even before Christmas. With FAI Chief Executive John Delaney virtually ruling the 57-year-old King out of the final reckoning, experts believe that a good showing, particularly against Germany away from home, should be enough for the Irish football association to have a look at the man when it comes to short-listing the final candidates. Noel King may not be a household name, but his immense experience at youth levels makes him wonderfully aware of what Ireland as an international team need from the players on hand. 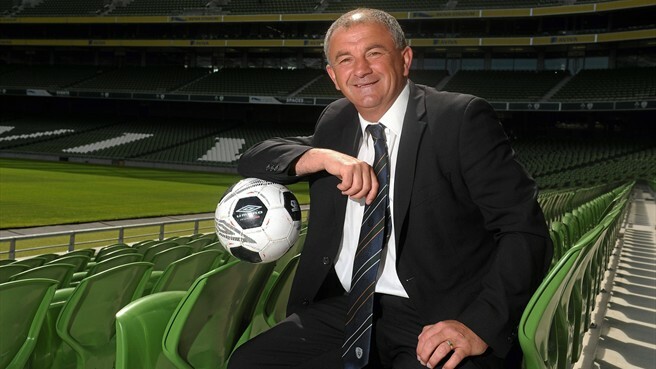 Sometimes lesser and unfamiliar names do wonderfully well compared to bigger fishes and King, with his ability to connect with younger next generation Irish players, could be a gamble worth taking as far as the FAI is concerned. He has a fine record with the FAI, having worked with the women and men youth set-ups and is well respected throughout the Irish game. He has worked first hand with many current senior players during their time at the U21 level including the likes of Seamus Coleman, James McCarthy and Robbie Brady and his experience should come in handy in the future. He has already recalled Nottingham Forest’s 31-year old influential midfielder Andy Reid and Celtic’s Anthony Stokes to the Ireland fold in his first team selection to give an experienced look to the team that would play a very tough away game against Germany in Cologne next week.